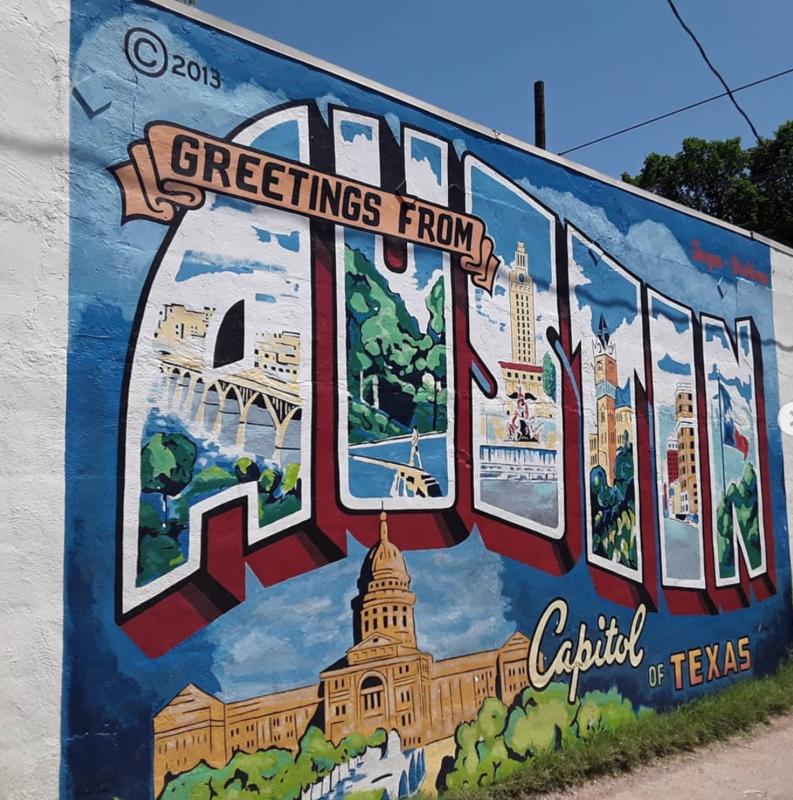 Austin is known for being quite a few things: the live music capital of the world, a ‘blueberry’ in a red state, a haven for hipsters, the new town for techies. But each neighborhood in Austin offers something a little different. Whether you’ve lived in Austin for a couple of years or are completely new to the city, we’ve put together a guide of the best neighborhoods in Austin, so you can get a better feel for what neighborhood you think you'd love most. Each Austin neighborhood offers its own charm. Whether you’re looking for a trendy neighborhood with the hottest bars and restaurants or are looking for a neighborhood that has access to all of Austin’s beautiful nature – this guide covers it all. Here are the best neighborhoods in Austin. With the heart of the city at your fingertips, the possibilities are endless in downtown Austin. There’s a wide variety of condo buildings in downtown Austin, each offering beautiful views of the city and incredible amenities. Condo buildings include Fifth & West, Austonian, 360 Condos, Seaholm Residences, and Austin Proper. Living downtown will give you the ease of access to Whole Foods, Trader Joe’s, popular bars and restaurants, the library, Lady Bird Lake hike and bike trail and so much more. Browse listings in Downtown Austin. East Austin is all the craze right now. It’s become an expansion of Downtown’s nightlife and music scene. It’s become a mix of trendy eateries, coffee shops, bars, old homes and new, modern homes. Although East Austin is growing rapidly, you’ll still find a ton of personality and charm in this part of town. The East Side is an eclectic mixture of old and new. Popular bars over on the East Side include Whislers, White Horse, Hotel Vegas, Stay Gold and Yellow Jacket. If you’re looking for a bite to eat, head over to Via 313 Pizza, The Salty Sow, Hillside Farmacy and The Hightower. Browse listings in East Austin. The origin of “Keep Austin Weird” stems from The streets of South Austin are lined with funky art murals and telephone poles covered in wild collages. Many Austinites will tell you that South Lamar, South 1st St. and South Congress are their favorite parts of town. Between these streets, you’ll find neighborhoods full of new modern homes that are an architectural wonder, and older homes with a lifetime of personality. We’re not kidding when we say there really is something for everyone here. It’s no wonder why South Austin is one of the best neighborhoods in Austin. A street lined with cute shops, bars, tasty restaurants and trendy hotels, South Congress (also known as SoCo) is one of the most popular destinations in Austin. South Lamar and South 1st St. also offer unlimited restaurants, coffee shops and vintage boutiques. Browse listings in South Austin. Central Austin is a lovely collection of smaller neighborhoods tucked away on the outskirts of Downtown. If you want to like in a quieter part of town, but still want easy access to the excitement of Downtown, Central Austin is perfect for you. Just west of Downtown, Tarrytown and Clarksville are charming neighborhoods in Central Austin. Here you’ll find a mix of “old Austin” and modern convenience. If you’re looking to buy in this area, homes are generally priced higher than other neighborhoods in Austin, due to their quality, luxury and location. Browse listings in Central Austin. Let’s find you a home in a neighborhood you love! Contact us today and we’ll get you set up with one of our agents so they can begin your home search. Stay up to date on all things Austin and follow us on Instagram. Last updated April 23 at 5:56 am.